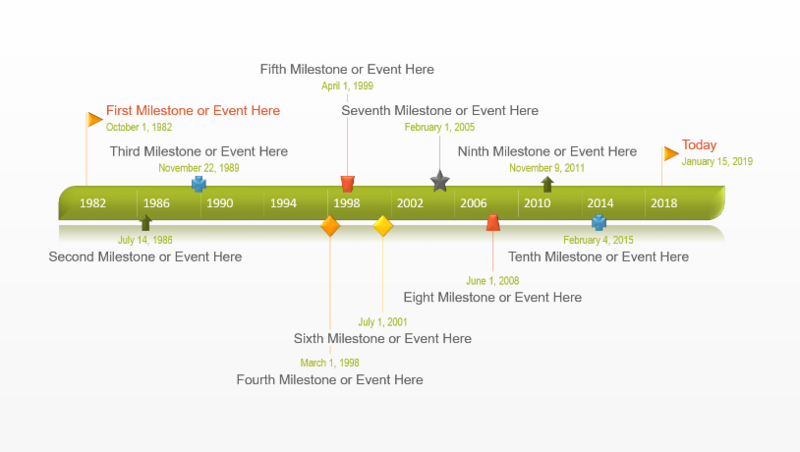 This sample timeline was created to help enterprise workers get a quick start on creating a timeline for important client, executive or other stakeholder communications. 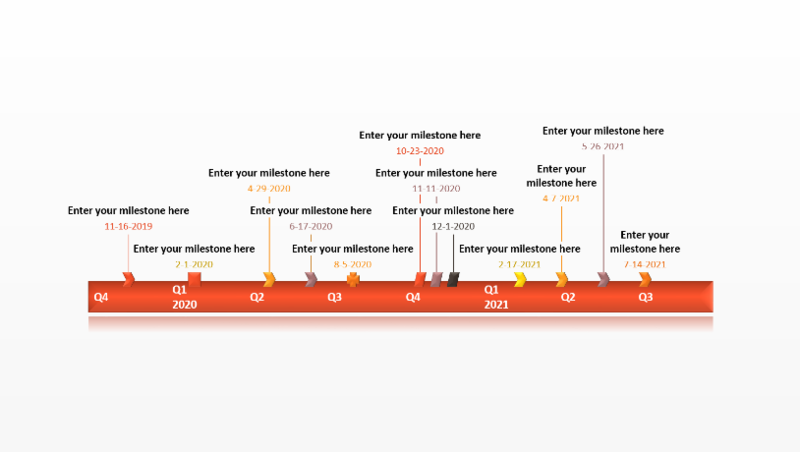 Project leaders, managers and planners can use the sample timeline template as an example to help spark design ideas for their own timeline visuals or they can simply edit this template in PowerPoint with their own data. 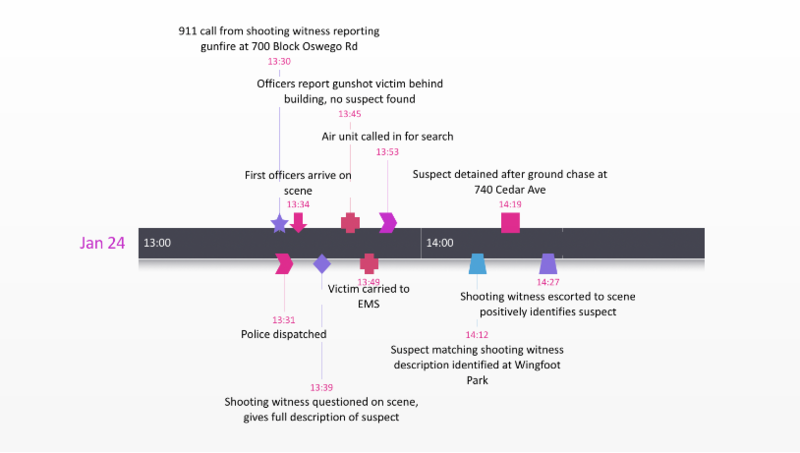 The sample timeline template is intended to visually communicate plans in a way that is easy for important audiences to read and easy for them to understand. Project managers who need to present status reviews can use the sample timeline’s Today’s Date feature so audiences can see progress of the plan. 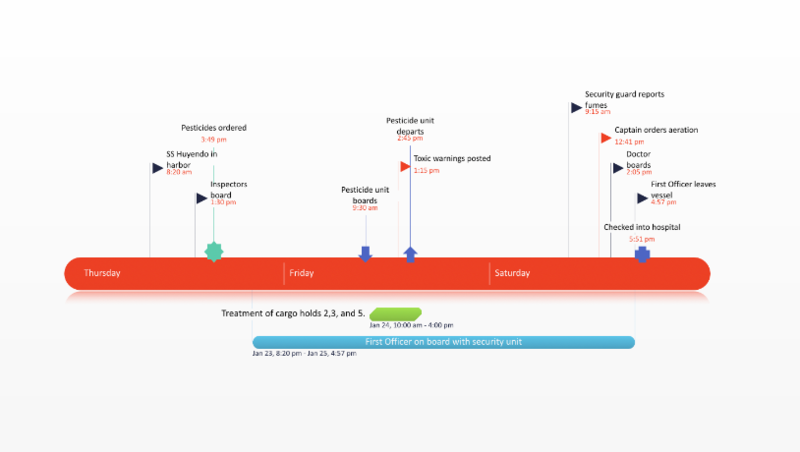 This project timeline example also includes elapsed time on the timeband to further illustrate where the project or plan currently stands against the time schedule. The template is useful for project reviews, status reports, plan presentations, scorecards, or for any other effort that requires a simple project schedule or the illustration of a plan. 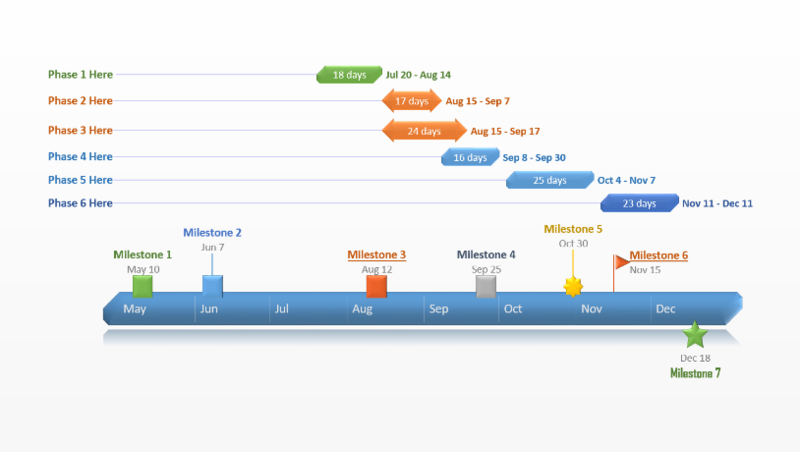 The sample timeline was created to work natively with a free PowerPoint add-in, a timeline maker tool, from Office Timeline. Office Timeline makes project timeline slides in PowerPoint and revises them automatically as things change. For example, the Today’s Date marker or the elapsed time feature are automatically updated if the template is edited with the timeline maker add-in. If milestones change, the add-in will update the sample template automatically. Using it also means you don’t have to manually move objects, dates, milestones or tasks in PowerPoint because Office Timeline does this automatically. Since manually editing timelines takes considerable effort, doing so with an automated tool right from PowerPoint will save time, and revising or updating your timeline in the future will always be fast. You can create one timeline slide and revise it repeatedly throughout the course of a project.